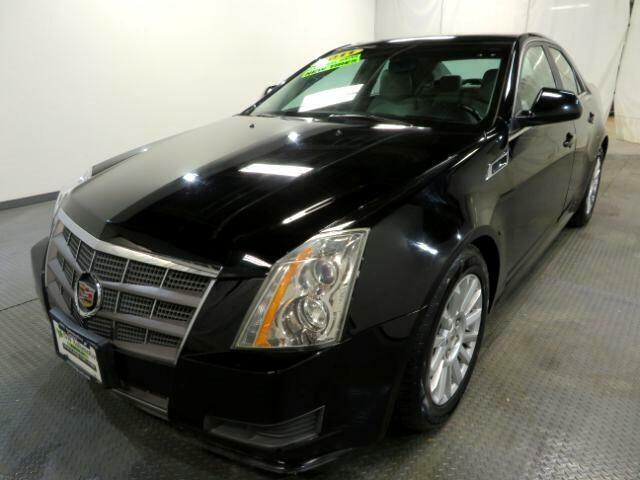 The 2011 Cadillac CTS embodies the company''''s push to become more competitive with the dominant models from foreign manufacturers. The days of bloated land yachts lumbering down the interstate are gone, as the CTS is significantly more tidy and compact than previous Cadillacs. Edgy styling and improved performance are definitely steering the company in a new direction. There''''s a lot that''''s new for the CTS lineup, but that pertains mostly to the all-new coupe version, which is covered in a separate review, as is the extra-spicy CTS-V model. As it stands, the 2011 CTS sedan remains relatively unchanged from the previous model yea ***Internet special. Price reflects discount for cash buyers. Traditional and special financing is available for qualified buyers. Please contact us first for availability as our cars go fast at near wholesale prices. Prices are subject to change. Sales Tax, Title, License Fee, Registration Fee, Dealer Documentary Fee, Finance Charges, Emission Testing Fees and Compliance Fees are additional to the advertised price. All options and conditions of the vehicles must be verified with the dealer, any descriptions or options that are listed maybe incorrect due to automatic data transfer.